Purchase over $3,000 of turnstiles and accessories. Choose from our large selection of products. Easy-to-install for DIY materials with step-by-step instructions. Low-cost fast shipping. When a turnstile is the right solution for access control and monitoring at your location, International Security Products recommends and supplies top-quality Boon Edam turnstile equipment. Their engineering and manufacturing quality is renowned worldwide. Attractive designs, a wide variety of models to suit any application, and years of durability and performance that assure you of maximum ROI are just some of the reasons that choosing Boon Edam turnstiles is your best option. At our full-service security products company, our volume purchasing power and manufacturer-direct shipping makes us your best choice to supply your turnstile needs. Every product comes with detailed installation instructions. Our installation experts stand ready to guide you through the whole process. With the wide variety of turnstile types and options available, it’s impossible to quote an exact price for the turnstiles you need without complete information from you. Your choices determine the price, and our access control experts can help you with those choices, keeping your requirements and budget in mind. From highly affordable basic models in both waist-high and full-height turnstiles to automatic turnstiles with state-of-the-art controls and appearance options to match the most luxurious surroundings, there is a turnstile from Boon Edam and International Security Products that is a perfect match for your needs. Waist-High or Full-Height Turnstiles – Affordable waist-height turnstiles are a frequent choice for simple access control and monitoring where security is not the most important priority. 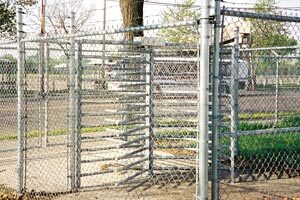 Where complete access-control is needed, making it almost impossible for an unauthorized person to access your site, full-height turnstile gates are the best choice. Available in 3-arm and 4-arm configurations, as well as in specialized models for wheelchair entry or metal detection entry, they prevent unauthorized access and offer a wide range of access control features. Basic or Deluxe Turnstiles – Basic waist-high and Basic full-height turnstiles differ from Deluxe waist-high and Deluxe full-height turnstiles primarily in materials. The basic models provide affordable, attractive, and durable access control for general use. Deluxe models provide the same capabilities, but with more attractive materials when required to complement your location’s features. Mechanical or Electric Operation – Simple mechanically operated turnstiles in both heights direct traffic and can tally entries. Often used where security requirements are less critical, they are highly affordable for many access control needs. Electric operating turnstiles allow the use of a wide range of access control options, including card readers, keypad entry systems, coin and token operation, ticket-handling operation, or remote switching by security personnel. One-Way or Two Way Traffic Options – In many turnstile applications, traffic through the turnstile is only controlled for entry to a facility or location. One-way turnstiles are chosen for these situations and exiting traffic uses a different method. Two-way operation for turnstiles directs all traffic, both entering and exiting through the same portal. Fail-Lock or Fail-Safe Operation – For electrically operated turnstiles, you can select whether the turnstile is locked or open if power fails. Key-operated over-ride on fail-lock models is available for emergency use. Clockwise or Counter-Clockwise Rotation – This choice will be determined by the installation location and orientation of the turnstile. Either direction of rotation is available in all Boon Edam turnstiles we supply. Indoor or Outdoor Locations – For outdoor use, turnstiles must be weather-resistant, with finishes to suit the environment. Galvanized steel, aluminum, and stainless steel finishes are all available in Boon Edam turnstiles. When turnstiles are used indoors, appearance is often a more important factor. Choose from a wide variety of finishes and options to match your application. Specialty Turnstiles for Special Purpose Access Control – From heavy duty automatic waist-high turnstiles and ticket-controlled waist-high turnstiles to full-height wheelchair-access turnstile gates, metal-detecting full-height turnstiles, and transparent full-height turnstiles, we have all of your access control needs covered. Get Your Questions Answered – You will find the answers of many common questions in our Turnstile Installation FAQs. Our experts stand by to help you with your product selection, accessories, shipping and installation. At International Security Products, meeting your exact access control and security needs is our top priority. 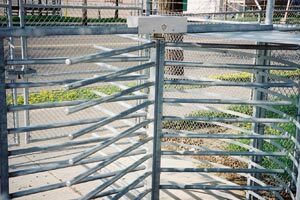 We offer a full range of top-quality Boon Edam turnstile products to match the complete range of features needed by our customers. Use our online price request form or our printable, faxable price request form to contact us with your specifications, and we will give you a highly competitive price quote. We’ll contact you quickly for any additional information we need or to answer any questions you have. Our manufacturer-direct shipping and high-volume purchasing power help you get the turnstile products you need quickly and at a cost-effective price.